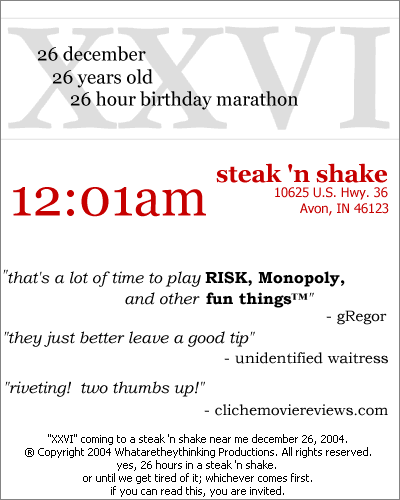 edit: here's a runner up invite made by a very very bored friend. haha this is so neat. if i were cool i would come. i can read it, but i will not be appearing, unless Jesus teleports me. sorry. but i hope your really, really ridiculously long time in a steak and shake is enjoyable.